Virginia Gov. Ralph Northam is proposing to give teachers a 5 percent pay boost next year. The governor outlined parts of his upcoming state budget proposal Tuesday that would increase funding for K-12 education and shore up the state's rainy day fund. Northam wants to spend $88 million to boost a 3 percent pay raise for teachers scheduled to take effect July 1, kicking it up to 5 percent. 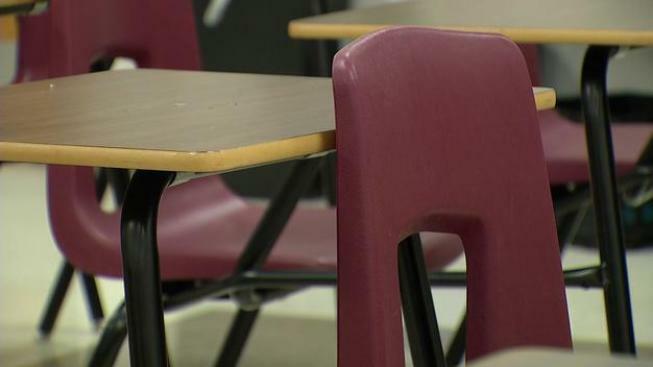 The governor said pay in Virginia is lagging the national average and making it harder to recruit and retain quality teachers. He's also proposing additional spending increases for at-risk students and school construction. The governor's proposals will have to pass the Republican-controlled General Assembly next year to take effect. Northam, a Democrat, will introduce his full detailed budget plan next week.